I know this post is late. I'm watching the Yankees-Tigers baseball game, and my Yankees are losing 3-2 in the 8th inning. Go Yankees! You'll notice that the overall design has 25 components with five Tier 2 sites surrounding each of four Tier 1 sites. In the preceding five posts in this series we have presented a comprehensive link wheel strategy regarding content, promotion, and backlinks. Once all your link wheels are built the worst mistake you can make is to suddenly stop building backlinks. That telltale pattern is one of the factors in sites and blogs suddenly getting punished in the various Google updates. Look at the Zeriouz Partners widget in the left sidebar. Click on "Add Your Link". Grow multiple backlinks (one-way) to the homepage of your money site. Enter your home page url in the "Submit Your Domain" box at the top of the page. Any questions? Click the "Information Center" link in the left column. 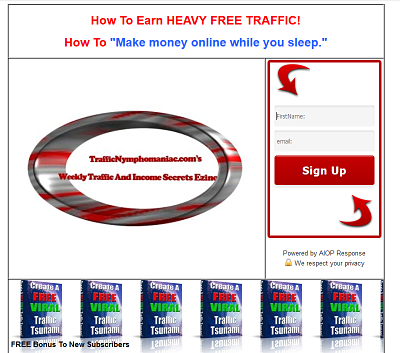 Join multiple times for multiple blogs or Websites. You should review every couple of weeks to see that sites in your Zeriouz network still display the Zeriouz widget. Subscribe to the Backlinks Monthly Newsletter and get a list of 100 quality backlinks you can easily obtain. Use for your money sites, Tier 1, and Tier 2 sites. You have to tweet or like on Facebook to get the list, but the tweet process did not work smoothly. 6,000 High PageRank Websites from a total of 13,000 Websites for Your Backlink Building. Very strong addition to your link wheel arsenal. A powerhouse resource! Give your money site a gigantic and potent backlink foundation. The final piece to give your link wheels ultimate power. OK. You have the knowledge and the resources. The only thing left is to TAKE ACTION! Sorry, I'm about 12 hours late with this post. The previous post in this series, (Part 4) focused on quality PLR sources for link wheel content. Today's post identifies high quality resources you can use to outsource your link wheel content creation. First, I need to emphasize the value of leverage. "No great fortunes have been created anywhere in the world without the extensive use of leverage." Leverage is a multiplier, and operating leverage is the type of leverage that has the most impact and power on the Internet. When you outsource (hire workers), your output per hour goes up. The more money you make, the more workers you can hire, the greater your output per hour becomes. VA Content Flood is a comprehensive product that covers just about everything you need to know about outsourcing. I originally intended to include some valuable tips on outsourcing with Fiverr.com, but this resource far exceeds my knowledge and offers tremendously valuable info. The information is offered largely through 23 concise videos ranging in length from 2 to 19 minutes. If you understood my comments on the value of leverage, then VA Content Flood is a must addition to your Internet marketing arsenal. Jing is a resource that has screen capture capability so that you can make videos to show your workers exactly what you want done by video. Your outsource workers can in turn make videos illustrating specific problems they have. All videos can be uploaded to a free web host service. Below in RELATED POSTS: are links to the first four installments in this series. Tomorrow is Part 6 which details the ultimate long-term backlink strategy for all money sites, Tier 1, and Tier 2 sites in your link wheels. This post focuses on creating content for all those Tier 1 and Tier 2 sites. Unless you have some external sources of content you are not likely to put in the effort to create unique content for all the necessary sites. Tremendous asset. Has valuable free PLR content stretching back over 4 years to 2007. Extraordinary Resource Toolbox available to all members. From Jimmy D. Brown, who in my opinion offers the highest quality products of anyone in Internet marketing. Free membership gets you accesss to special PLR offers. I bought the "$997 PLR Package For $20". Great value! Create backlinks to both Tier 1 sites and Tier 2 sites. Puts your links wheels on a permanently strong foundation. "Distribute your articles to thousands of article sites for only $2 and below! None of this information will do you a bit of good, if you do not take ACTION! When you have multiple link wheels in place around multiple money sites, you become a powerful force on the Internet. Your multiple income streams mean that no adverse Internet developments can wipe you out (like the latest Google slap). Tomorrow, the series continues with valuable information on how to outsource most of your link wheel tasks. Below in RELATED POSTS: are links to the first three installments in this series. We can use RSS feeds to link to both Tier 1 and Tier 2 sites. Your link wheel will not seem artificial with a wide variety of backlinks. Here's a partial list of RSS directory sites where you can submit RSS feeds that you have created. Be sure to record the url where your RSS feed is located within the directory. Creating a blog where you limit the topics and add a variety of hyperlinked anchor text ==>> your Tier 1 and Tier 2sites is a very powerful strategy. Don't forget to periodically promote these urls on social media sites. Below are five sites you can add to your link wheel inventory that are appropriate for Tier 2. Here's an example of my feed on this site. Following are two powerful resources you can use to create multiple backlinks for your Tier 2 sites. Using these resources involves some real effort, because you have to "spin" various features of your content. (Pretty easy to do). You simply submit content with diverse hyperlinked anchor text keywords that point to your Tier 2 sites. When I first joined this site its Alexa ranking was over 200,000. Now its 2,935 so it has been a huge success. You'll notice that the overall design has 25 components with four Tier 1 sites at the center of four diverse link wheels. Below are four sites appropriate for Tier 1 status in your link wheels. Refer to the RELATED POSTS below to find more suitable Tier 1 or Tier 2 sites. Use this powerful social media tool, Social Adr to create additional backlinks for your Tier 1 link wheel sites (in addition to the backlinks from the Tier 2 sites). This introduces a randomness to your linking structure that appears entirely natural to the search engines. I use a paid version of Social Adr, but there is a free version available. 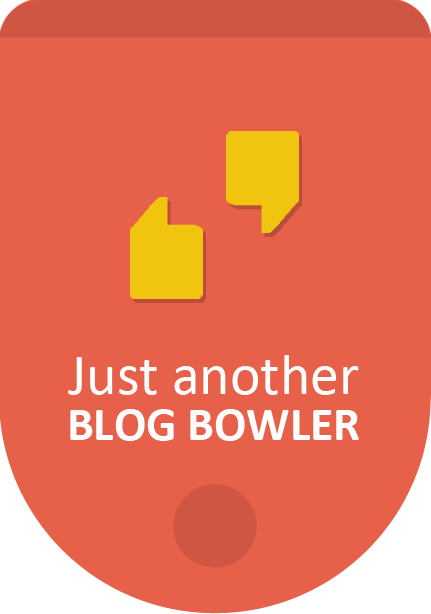 Fast Blog Finder is a powerful tool that is designed to search for blog posts that rank in Google for a particular phrase and makes it easy to comment on them. Fast Blog Finder searches for quality blogs that accept comments. It brings up blogs with both "dofollow" and "nofollow" tags. It also shows the Google PageRank for each domain and blog page post. This is a great resource to produce backlinks to all the Tier 2 sites in your link wheels. Realize that you can produce an infinite variety in the origin of backlinks as well as the anchor text of the backlinks you create. I use the paid version of this great software, but there is also a free version available.